The sensitivity of a writer frequently leaves them vulnerable to rejection. Letters and e-mails of publishing dismissal can punish their nerves, and dent their ego. An ego that had seemed imperious upon submission is promptly shattered by the bullets of no. These wounds never truly heal, but how a writer alleviates their ache can aid them considerably in the long term. Unfortunately, many choose to dress them with bandages of ignorance. This perpetual rejection of criticism unknowingly hinders their creativity. They will invariably complain that impersonal letters of rejection shed no light on why their manuscript is being dismissed. This is not the case. Within each rejection letter is a single line of subtext: 'there is something inherently wrong with these opening chapters, and a revision of them is essential.' It can often be hard to ascertain the subtext but it is always there. Unfortunately, even subtext can kill confidence. 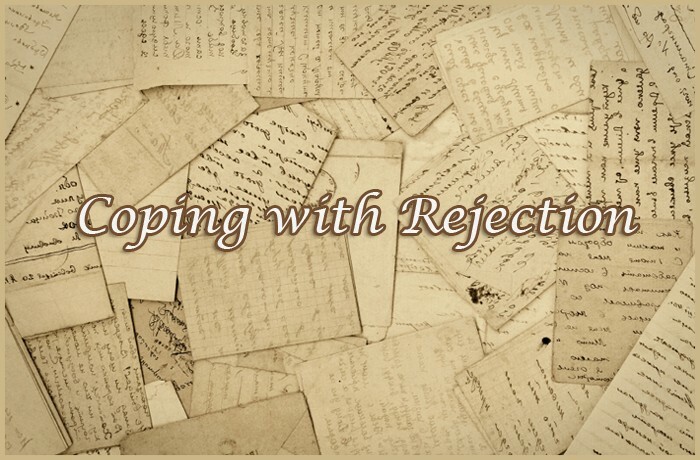 An avalanche of these rejections can be hard for any writer to take as each letter becomes a dagger of doubt, puncturing what little confidence the writer began with, until the doubt itself suffocates them. However, if a writer commits to just one of these pointers below, it will help to restore their wounded confidence. So that during the next submission process they and their work will be stronger. 1. Show Humility - You need to understand one golden rule: you are not the world’s greatest writer, and you have not written the best book ever. Embrace this mantra and your ego can never be bruised by rejection. 2. Write Your Own Rejection Letter - Mail the letter to yourself and make it as harsh as possible to ensure any subsequent letters seem tame in their rejection. 3. Take a Break - Objectivity is the key to a better manuscript. So take a time out. Do whatever it is you do to reinvigorate yourself: a long walk, listen to music, go shopping, a massage, or even take a trip. Anything but read. This will give you the fresh eyes you need when you return to your writing desk. 4. Self-Publish - A popular response to rejection because when you approach literary agents and publishers with your next manuscript you can prove that there is a market for your books. 5. Compare a Published Book Similar to Yours - Read the first three chapters of a published book similar to yours. What is about those chapters that appeal so much to readers and publishing professionals? To build on this, read the opening of a book recently published by a new author at the literary agency who rejected you. What separates their book from yours? How did they handle the exposition? How did they link their chapters? And most importantly of all: How did they hook the reader? In essence: use books to improve yours. 6. Display Your Rejection - Do not be ashamed of rejection. It happens to every writer. Instead, celebrate that your work has been acknowledged and that it is now in the process of its journey to publication. 7. Join a Creative Writing Course - This will help improve your manuscript. Agents and publishers will love that you did this, and they often attend as guest speaker. 8. Write a Full Page on Why You Love Writing - Incorporate the earliest memories you have for the written word, and the first books which inspired you. This will invigorate you to continue your own personal journey towards publication. 9. Share Your Feelings - This can either be with friends or your online network, to lift the burden that rejection places on your shoulders. Sharing your pain will remove most of it. 10. Write Something Else - Either a new book, or a short story. What you learn through this process can aid your rejected manuscript when you return to it later, as your second or third book, as many published authors do. The book industry is a business. The rejection of your manuscript is a business decision. It is not personal. Literary agents and publishers do not reject you to hurt you. They reject you to improve you.